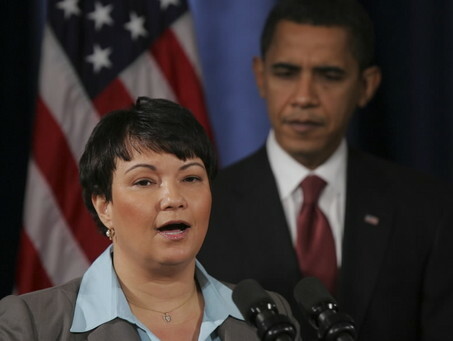 Will Lisa Jackson turn the Clean Air Act into a gigantic de-stimulus package? Earlier this week, in a letter to Sierra Club climate council David Bookbinder, EPA Administrator Lisa Jackson said the Agency would reconsider, via a notice-and-comment rulemaking, a Bush-EPA memorandum interpreting regulations that determine whether carbon dioxide (CO2) is currently subject to emission controls under the Clean Air Act’s Prevention of Significant Deterioration (PSD) pre-construction permitting program. The memorandum, issued on December 18, 2008 by Jackson’s predecessor, Stephen Johnson, responds to EPA’s Environmental Appeals Board (EAB) decision in a dispute between EPA Region 8 and the Sierra Club. Region 8 granted Deseret Electric Power Cooperative a PSD permit to build a new coal electric generating unit near Bonanza, Utah. Like all other PSD permits issued in the program’s history, this one did not require the regulated entity to install best available control technology (BACT) to limit CO2 emissions. Sierra Club argued that EPA regulations adopted in 1993, which require power producers to monitor and report CO2 emissions, make CO2 a regulated pollutant for PSD purposes. Region 8 countered that it has no power to apply PSD or BACT to CO2, because EPA has consistently interpreted “subject to regulation” to mean subject to emission controls. The 1993 rules require data collection and reporting, not emissions control. The EAB disagreed with Sierra Club in part, and with Region 8 in part. Contrary to Sierra Club, “subject to regulation” does not have an unambiguous meaning that compels EPA to impose a CO2 BACT standard in a PSD permit. But, contrary to Region 8, EPA is not bound by the Agency’s historic interpretation to apply PSD only to pollutants for which EPA currently administers emission controls. The EAB asked EPA to clarify the meaning of “subject to regulation” in the context of an action of “nationwide scope.” That’s what Johnson did in his December 18, 2008 memorandum. The reason this is important, even if you don’t live in Bonanza, Utah, is that applying PSD to CO2 could have a chilling effect on new construction and economic development throughout the nation. As explained here, here, and here, the cutoff for regulating business entities as “major stationary sources” under the PSD program is a potential to emit 250 tons per year (TPY) of a CAA-regulated air pollutant. An estimated 1.2 million previously unregulated buildings and facilities actually emit 250 TPY of CO2. All would be vulnerable to new controls, paperwork, and penalties if courts deem CO2 “subject to regulation” under the CAA. Before any firm could build or modify, for example, a large commercial office building, enclosed mall, or big box store, it would have to obtain a PSD permit, which means it would have to undertake a complex investigation of how to comply with BACT (see pp. B6-9 of EPA’s New Source Review Workshop Manual). Even apart from any technology investments required for BACT compliance, the PSD permitting process is costly and time-consuming. In 2007, each PSD permit on average cost $125,120 and 866 burden hours to obtain. EPA’s Advanced Notice of Proposed Rulemaking (ANPR) estimates that even a ten-fold increase in PSD permitting from 200-300 permits per year to 2,000-3,000 permits “could overwhelm permitting authorities” and subject firms to “new costs, uncertainty, and delay in obtaining their permits to construct.” Yet if firms seek to modify just 1% of the 1.2 million entities that currently emit 250 TPY of CO2, EPA and its state counterparts would have to process 12,000 PSD permits per year. The costs, delays, and uncertainties produced by this administrative quagmire would bring economic development to a halt. Attorney Peter Glaser put the point more forcefully in an amicus brief on behalf CEI and 13 other free-market groups. In the Deseret case, Sierra Club wanted the EAB to mandate CO2 regulation under PSD and BACT even though the EPA Administrator had not determined (and still has not determined) whether CO2 emissions endanger public health or welfare. This regulate first, do the analysis later (if ever) approach would stand the logic of the CAA on its head. Johnson’s memorandum accomplished two things. First, it averted a “PSD nightmare”—at least on his watch. Second, as an Aiken Gump analysis astutely observed, the only way Johnson’s successor could overturn his “interpretative rule” would be through a notice and comment rulemaking. Jackson’s decision to reconsider Johnson’s memorandum via a rulemaking seems to confirm that assessment. This is quite remarkable. At a September 23, 2008 hearing before the Senate Environment & Public Works Committee (see segments 1:47:10-1:48:22 and 2:03:83-2:05:20 of the Committee’s Archive Webcast), Bookbinder derided as a “bugaboo,” “red herring,” and “pure scare tactic” warnings by industry and free-market groups that establishing greenhouse gas (GHG) emission standards for new motor vehicles under CAA §202 would expose tens of thousands of previously unregulated stationary sources to PSD and BACT regulation. Yet now he acknowledges that, if applied to CO2, the PSD program could morph into an “unbelievably complicated and nightmarish” affair. To be sure, Bookbinder thinks it’s possible for EPA, in a rulemaking, to make “clear we’re going after only very large sources.” But as a matter of law, EPA has no authority to pretend that a statutory cutoff set at 250 TPY really means 10,000 TPY, 25,000 TPY, or 100,000 TPY. Furthermore, although neither the Sierra Club nor any other major environmental group would sue EPA to insist on a strict letter-of-the-law application of PSD to CO2, the major environmental groups do not have a monopoly on CAA litigation. Applying PSD to small CO2 sources would empower legions of NIMBY (“Not in my backyard”) activists to block or delay construction of strip malls, big box stores, fast food restaurants, or other development they deem undesirable. Lisa Jackson needs to understand that she cannot rescind Johnson’s interpretation and make CO2 a pollutant “subject to regulation” under PSD without running the very serious risk of turning the Clean Air Act into a gigantic de-stimulus package. Ice core records show a pattern of warming, followed by CO2 increase, followed by cooling, repeated many times over the past million or so years. It clearly shows the cycle that the earth employs to regulate it's climate. It's a fairly simple process to understand, and more importantly ACTUALLY FOLLOWS THE LAWS OF THERMODYNAMICS. Periods of increased solar intensity cause surface warming, warming oceans release CO2 to the air, CO2 heavy air carries a higher heat capacity creating a heat sink that absorbs heat while slowing temperature rise. Ultimately a new equilibrium is reached, the CO2 in the air falls back to the surface and is absorbed by the ocean again, driving the ocean's heat capacity downward, and allowign the cycle to start over again. A perfectly self sustaining, REPEATABLE, FACTUALLY VERIFIABLE cycle. Yet because Al Gore is so scientifically inept that he cannot even interpret a graph correctly, every sheeple environmentalist is ready to eradicate every trace of this climate regulation and biologically essential gas (not "chemical" or "pollution"). It makes me wonder how many environmentalists would shoot themselves in the face if Al Gore made a movie called "Bullets Taste Good". But at this point I don't even care. Human's can suffer the consequences of their own stupidity. After years of shouting "Halliburton" conspiracies theories, the same easily-manipulated knuckleheads are going to actively support thinly disguised corporate interests pushing legislation that will significantly compromise our quality of life. Brilliant. How much do you all think the Sierra Club's crack team of policy lawyers costs? Have the enviros ever thought about where that money comes from? I'm sure they think its from donations or selling ganja cookies at protest rallies though in reality it's as dirty and corporate as Halliburton. Funny how people embrace their own ignorance just to feel a false sense of moral superiority. I have tons of money, education and sense. At the end of the day these policies will bring the sheeple that support them more heartache than me. That will be a last laugh that I will thoroughly enjoy. Fatoosh: I just fell in love with your comment "It makes me wonder how many environmentalists would shoot themselves in the face if Al Gore made a movie called “Bullets Taste Good”." I think that is just about the most awesome thing I have ever read anywhere. It's so funny because there is truism there. And I agree 100% with you on the rest of your comments, although I would like to see some sources for the warming and cooling theory that follows the laws of thermodynamics. Sounds interesting, but I would like to research that one. Stand with Carbonicus and continue to call out sheeple and watermelons (green on outside, red on inside). Sun, oceans, water vapor clouds. Compared to these, trace CO2 is a fart in a hurricane. As Ted Nugent says in his book Ted, White, & Blue, "kill sheeple, make wool, eat mutton. Next". "EPA Administrator Lisa Jackson said the Agency would reconsider, via a notice-and-comment rulemaking, a Bush-EPA memorandum interpreting regulations that determine whether carbon dioxide (CO2) is currently subject to emission controls under the Clean Air Act’s Prevention of Significant "
Do you realize that this means your very exhalations of breathe (that portion of which is a gas fundamentally necessary to life as we know it) is soon to be considered a crime? Yup! So anyone who is concerned about CO2 should stop breathing now. Scary. Do you think that this could eventually lead to population reduction excercises? And I only ask that half jokingly. The most important book of the 21st century to date is by S. Fred Singer, called "Unstoppable Global Warming – Every 1,500 Years." Singer documents thoroughly the nonsense of enviro-hypocrites, who exaggerate, lie and then fly around the world to one conference after another, telling everyone else to do as they say not as they do. The Mann et al. studies were reviewed by two non-scientists, Stephen McIntyre of Toronto and Ross McKitrick from Canada's University of Guelph. They are well versed in statistics and when they asked for the original study date from Mann, it was provided haltingly and incompletely, indicating that no one else had previously requested the data for a peer review in connection with the original publication in Nature. "The major finding is that the [warming] in the early 15th century exceed[s] any [warming] in the 20th century. So the Mann report, the hockey stick graph, is fundamentally wrong. Hello! No need to cut back 80% on carbon dioxide emissions, Al Gore and sheep. CO2 regulation - The New De-Stimulus Plan? - XDTalk Forums - Your HS2000/SA-XD Information Source! Next post: So What Does He Think of Cap & Trade?